An Israeli government official has boasted that the Israeli Air Force's (IAF) American-made F-35 stealth fighter jet can beat the newly transferred Russian S-300 air defense system, now in Damascus' hands. Israel's Haaretz newspaper reports that Tzachi Hanegbi, the country's regional cooperation minister and member of Israel's security cabinet, was asked in an interview whether S-300 missiles in the hands of the Syrians would bring Israeli air strikes to a halt. Hanegbi replied with a confident, "Unequivocally, no." 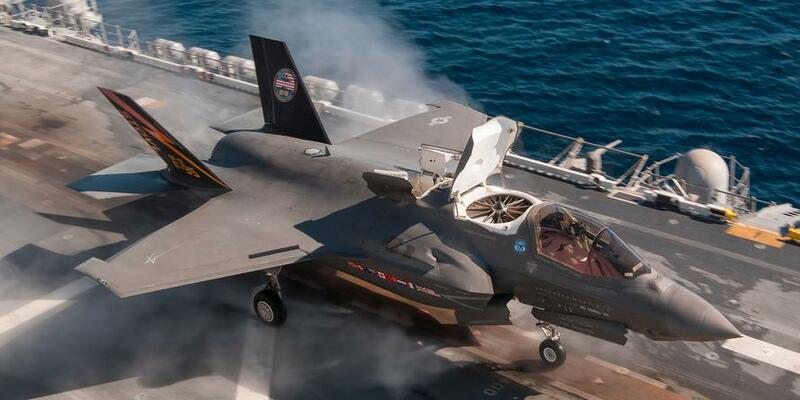 Israel began receiving the Lockheed Martin F-35 Joint Strike Fighters over a year ago, something Hanegbi referenced by saying, "You know that we have stealth fighters, the best planes in the world. These batteries are not even able to detect them." Israel will now rely on the fighter's advanced stealth capabilities to avoid detection by the anti-air defense systems to attempt to continue its raids with impunity, or at least that's what Israeli leaders are telegraphing to their enemies. However, the confirmed S-300 transfer to Syria certainly ups the risk factor significantly should the IAF decide on continued operations. Last summer an Israeli military official boasted that the IAF had struck 200 times over the year prior. But given Russia's following through on its word to deliver the lethal and significantly more capable S-300 to Syria, it appears the gloves are now off. And Syria, now largely victorious over the 7-year long jihadist insurgency that threatened President Assad's rule will now be in a greater position to act. Damascus will most likely be very willing to pull the trigger once its S-300's come online (which Russian officials indicated this week would happen by October 20) should it again come under attack.